A local farmer is bringing back a breed of American cattle from the brink of extinction — and he's working with local chefs to make it a success. WASHINGTON — Ten years ago, Robert Wiedmaier was among a handful of D.C. chefs invited to a private dinner hosted by Brian McBride, formerly of Blue Duck Tavern. On the menu: seven courses of America’s oldest and rarest breed of cattle. The dinner was the chef’s first introduction to a heritage breed that can be traced back to the 17th century. It was also his first opportunity to help save the Randall Lineback cows from extinction. “From there, it just became a love affair with Randall Lineback,” Wiedmaier says. About 60 miles outside the nation’s capital is Chapel Hill Farm. Its 18th century stone house sits on about 600 acres of lush, rolling land in Virginia’s Shenandoah Valley. What was once thought of as an overly sweet wine with a fate destined for a budget-friendly box is now experiencing a renaissance. 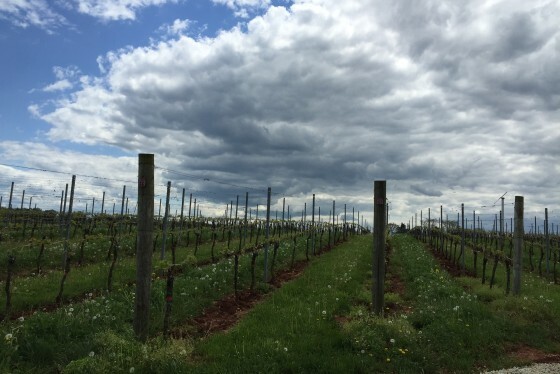 Joe Henderson and his wife, Lucia, purchased the Berryville farm in 1999 after growing restless from life in D.C. Henderson, a former corporate strategy consultant, was originally in the market for a farm that had about 100 acres of land. He ended up with 500 to spare, and decided the best way to care for it was to farm cattle. “You’ve got to treat it; conservation is what you have to do. You’re a custodian of the land,” says Henderson, who at the time had some familiarity with farming from spending time on his grandparents’ farm. But Henderson didn’t bring just any cows to Chapel Hill. He got in touch with the American Livestock Breeds Conservancy and learned about a rare breed of American cattle that was on the brink of extinction. Only a handful of the animals — which once served as all-purpose meat, dairy and work cows in the country’s colonial era — remained. Henderson made it his mission to save the Randall Linebacks. “If you want to lose money on cattle, and I assure you that you will lose money on cattle, you ought to use it on a cow that needs it,” says Henderson, 70. 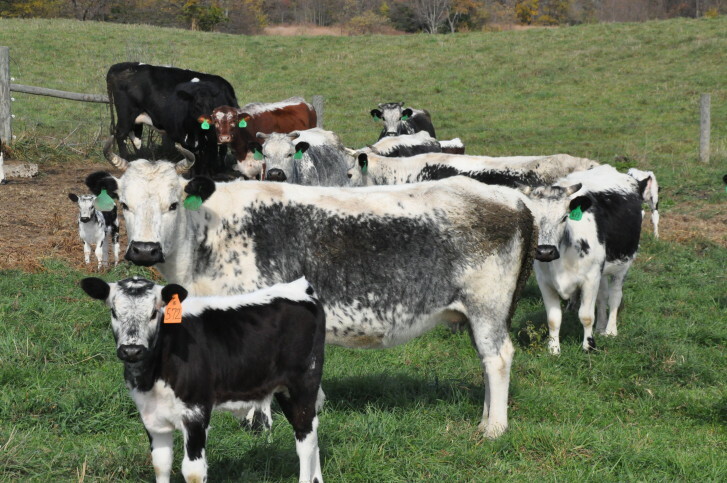 He brought 25 of the New England-based Randalls to Virginia, and with the help of his farm manager, Noah Travers, began the slow process of growing the herd. Now, Henderson has about 300 of the cows — which are even credited with helping the colonists win the Revolutionary War — roaming free on his farm’s fields. But his work to bring the breed up to safe numbers is far from over. Henderson explains that in order to grow the herd, he has to find “a job” for the Randalls — or a demand in the marketplace. “Because it’s when something’s worth zero, they end up with zero,” he says. The job he found is a culinary one. Robert Wiedmaier is now one of a handful of elite D.C. chefs that uses Randall Lineback in his restaurants. Others include José Andrés, Bryan Voltaggio, Jeff Black, Cathal Armstrong and Frank Ruta. The product Henderson sells them is Ruby Veal. Wiedmaier says the taste of Randall Lineback veal sets it apart from others. True to its name, the naturally lean meat is ruby red in color — and a lot of that has to do with how it’s raised. “Most veal, if you saw how they raised it, you would never eat it,” says Wiedmaier, adding that many conventional farming operations rip calves away from their mothers at a young age, keep them enclosed in small quarters and often feed them soy-supplemented diets. Not Henderson. He takes a major issue with what he calls “big ag” farming practices, and even how the USDA defines veal. On his farm, he “lets cows be cows.” All of the Randalls, including the calves, roam free in large fields, rotating from pasture to pasture. The heritage cows eat grass and are only fed a small amount of grain (so the meat isn’t so tough). Henderson says even slaughtering is low-stress at Chapel Hill. Calves are fed beforehand and transported to a nearby facility. “When you see the farm and you get to experience where these cattle are raised and where they eat, and they drink out of that beautiful spring water, you can see why it tastes so good. Cows weren’t born to eat corn,” Wiedmaier says. Because Henderson’s cows are active and eat a natural diet, their meat is naturally lean. “You’ve got a creature that’s meant to walk around, that’s meant to be outdoors, and those characteristics all go into producing a product that’s, to some extent, unknown in the market place,” says Henderson, who says too much attention these days is on the marbled quality of the big breeds, such as Angus and Wagyu. Wiedmaier admits that cooking Ruby Veal is different from its fattier counterparts. He says the prime cuts can’t simply be seared at high heat and served to diners. It’s best when the veal is cooked slowly “to bring it up to temperature,” he says. Henderson says while his foray into the local restaurant industry has helped sustain the herd thus far, it’s not enough to keep the breed growing. Everyday consumers have to be a part of the equation too. Randall Lineback cows do not look like your typical cow. The roughly 1,000-pound animals have white faces and black, blue or brown panels on their sides. Relative to the breed, Chapel Hill is a big operation. Roughly 70 percent of the world’s population of Randall Linebacks resides on the Virginia farm. But compared to others in the meat industry, the operation is still small. Henderson is hoping the everyday consumer can help change that. He is not naive to the fact that selling veal comes with controversy, since many consumers associate veal with inhumane farming practices. Henderson says his favorite option for the everyday cook is the ground Ruby Veal. Unlike most packages of ground beef, all of the meat in the Ruby Veal package comes from the same animal, and it’s versatile enough to make everything from burgers to Bolognese. As Henderson’s herd has grown over the years, so too has his farm. Now, Henderson and Travers rent land from surrounding farms in the area, totaling roughly 2,000 acres. He says at his current size, he can supply about 105,000 pounds of Ruby Veal a year, but he’s ready to get above that threshold should he see a spike in demand from consumers. “We have to save it commercially, and to save it commercially, we not only have to know what it’s good for, we have to have enough of those animals to sell,” he says.